The National Centre for Scientific Research (NCSR) ‘Demokritos’ (ΔΗΜΟΚΡΙΤΟΣ) is a multidisciplinary research centre with approximately 850 employees working in selected fields of science and technology. It comprises five different Institutes in various fields of Physical Sciences and Technology, among them is the Institute of Nanoscience and Nanotechnology (INN) where the partner group, the Computational Modeling of Nanostructured Materials group (CMNM), belongs. INN provides a unique environment to promote and support world-class multidisciplinary basic and applied research in nanotechnology, micro- and nanoelectronics, advanced materials, biotechnology and photonics. The activities of the CMNM Group in INN aim at the understanding of the microscopic behavior and macroscopic properties of nanostructured materials that find applications as magnetic recording media, magnetic sensors, permanent magnets and in energy and biomedicine. Our current research activities have been focused on: a)the magnetic properties and dynamic behavior of magnetic nanoparticles in an atomic scale, b) the study of interparticle interactions and their effect on the magnetic behavior of nanostructured materials and ferrofluids, c) the magnetic and magneto-thermal properties of semiconductor nanodevices enriched with magnetic impurities and d) the study of perovskites for Energy Harvesting. The research is mainly problem-driven rather than technique-driven and as such is using various numerical techniques. Our role in the project Magenta is (a) analysis of experimental results to understand the physical mechanisms that govern the thermoelectric (TE) and thermomagnetic (TM) phenomena in Ionic liquid(IL) based ferrofluids (FFs) and (b) prediction of optimal structural, magnetic and thermo-diffusive parameters for TE and TM applications. The above will be achieved (a)by performing electronic structure calculations to determine single magnetic particles (MNP) characteristics (magnetic moment, anisotropy), (b) by performing Monte Carlo simulations in an atomic and mesoscopic scale to study the microscopic and macroscopic characteristics of the magnetic particles and the clusters of MNPs inside the FF that influence their behavior and (c)with the development of Monte Carlo algorithm based codes to simulate the TE and TM behaviour of IL- FFs as a function of particle size, particle size distribution, density, inter-particle interactions by integrating parameters of the single particle characteristics in the simulations. Dr Κ. Trohidou is head of the Computational Nanostructured materials Group and the research laboratory. Her research interests are at the area of the Theoretical Studies and Computational Modeling of nanostructured materials. Her current scientific interests include systems of magnetic nanoparticles, thin films and magnetic semiconductors for biomedical, energy and environmental applications. She is author of over 100 scientific articles 7 chapters in books and editor of one book. She has been member of the organising and scientific committees for over 20 International Conferences and currently member of the editorial board of Journal of Magnetism and Magnetic Materials. She has been involved as partner and co-ordinator in 10 EU projects, 4 bilateral, 7 Greek projects. 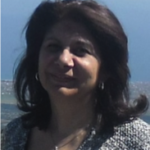 Dr. Marianna Vasilakaki received her Ph.D in Physics (2010). 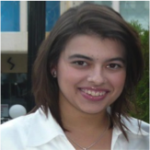 She worked as a postdoctoral researcher in several National and European funding projects in the Computational Modeling of Nanostructured Materials Science Group in the Institute of Nanoscience and Nanotechnology of National Center of Scientific Research ‘Demokritos’. Her research interests are focusing on Computational Physics and Materials Science, in particular, modeling and theoretical study of the magnetic behavior of nanostructured materials for biomedical, environmental and technological applications. She has been co-author in 23 journal publications and 4 chapters in books.